In this tutorial, through a series of analytical computations and numerical simulations, we review many known insights into a fundamental question: how much data is needed to reconstruct the Tree of Life? A Jupyter notebook and code for this tutorial are provided in Python. This work is supported by NSF grants DMS-1149312 (CAREER), DMS-1614242, and CCF-1740707 (TRIPODS). 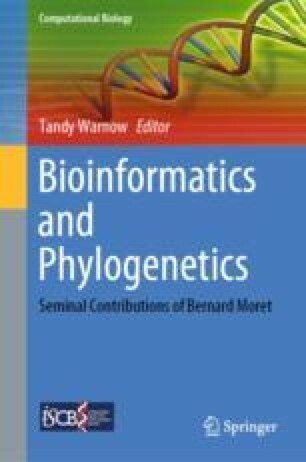 When I was first introduced to the field of computational phylogenetics in graduate school, I had the privilege of being supported by the NSF-funded CIPRES project—of which Bernard Moret was a leader—which had a significant impact on my early career .